Reading Games – Leaders Win Prizes! 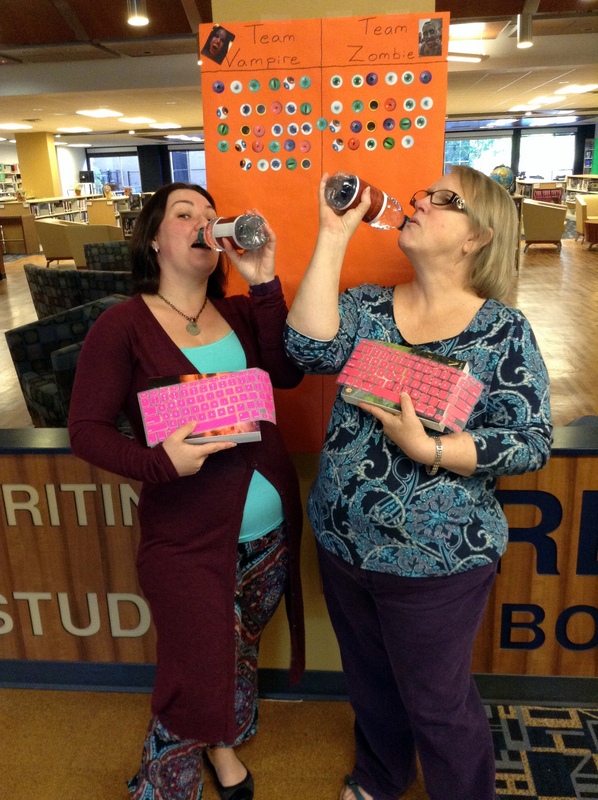 The Reading Games can be thirsty work … and the district leaders needed supplies to keep going. So, the Gamemakers awarded each leader a choice of book, a keyboard cover, and a bottle of water. Congratulations leaders! May your shelves be full of books. 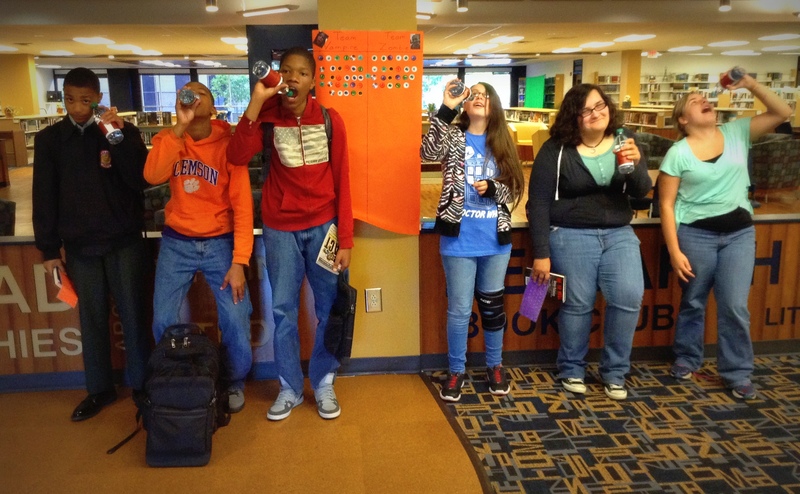 ← Teen Read Week – Get AWAY! No really …. RUN!! !